EMC Academy is a professional coaching company, situated in the South East of England. 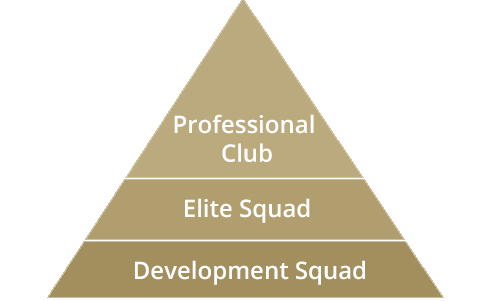 Managed by Jonny Elwood and supported by Henry Muggeridge, EMC Academy follow a player pyramid to develop all young, aspiring footballers which helps give them a clear pathway to reaching their full potential; because even the best players start somewhere. Our academy model offers football for all young players, with fantastic, all weather surfaces at all our venues and premier league standard equipment to give players every opportunity to develop.